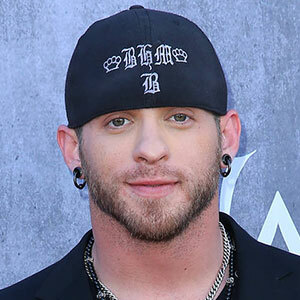 The "Halfway to Heaven" singer, Brantley Gilbert recently celebrated a birthday. He was born on January 20th, 1985, which makes him 34 years old. Age ain’t nothing but a number for young singers like Brantley, who continue to put out hit after hit. This chart topper has had multiple number one songs on the country music charts, and the singer’s net worth is around fifteen million dollars. Brantley Gilbert’s hometown is Jefferson, Georgia, where he grew up writing his own music and performing for friends and family. He has one younger brother named Kolby, who is not in the spotlight. Brantley’s father, Keith Gilbert, was one of his biggest supporters. His earliest songs were written when he was just thirteen years old. After graduating from college as a marriage and relationship counselor, Brantley was in a near-fatal car accident that left him with very little memory of what happened in his life before he almost died. This caused him to lose his occupation as a counselor, instead he decided to begin a music career. In 2010, Brantley released his first single, though he had written songs previously for Jason Aldean and Colt Ford, this was his breakthrough as a singer himself. The song "Kick It In The Sticks" went platinum, and Brantley would go on to make many more number one hit songs. The Brantley Gilbert band would release several tracks on four albums, two of them becoming platinum, and the last one "The Devil Don’t Sleep", went to number one in the United States. Members of the Brantley Gilbert band include Brantley, Jess Franklin, and Johnathon Waggoner. After calling of his engagement to another country singer, Brantley met the woman of his dreams, Amber Cochran. He’d actually known Amber for many years, she lived in his hometown of Jefferson, GA. In 2014, Brantley announced that he was engaged to Amber, and they soon tied the knot. In 2015, Amber Cochran became Brantley’s wife. Amber is around the same age as Brantley, and they have similar morals and aspirations. One of those aspirations being to have children sometime in the near future. Though they had their difficulties getting pregnant in the beginning, through IVF Brantley and his wife Amber were able to get pregnant in February of 2017. They both were extremely excited to have a child, and the singer announced that he was going to be a dad on tour. The little bundle of joy, Brantley’s son, was born on November 11, 2017 in Athens, Georgia. Though the singer’s baby boy came sooner than expected, the couple already had his name picked out. Barrett Hardy-Clay Gilbert may be a mouthful, but the names are sentimental to the singer and his wife. There are many pictures of Brantley’s baby on the display, and Brantley’s son has even made his stage debut. Brantley’s’ life may have started on the wrong foot, his health was in despair in his twenties, but after beginning his music career and meeting the love of his life, it seems that Brantley is doing very well for himself. It’s almost guaranteed that we will be seeing more of this showstopper in the future.